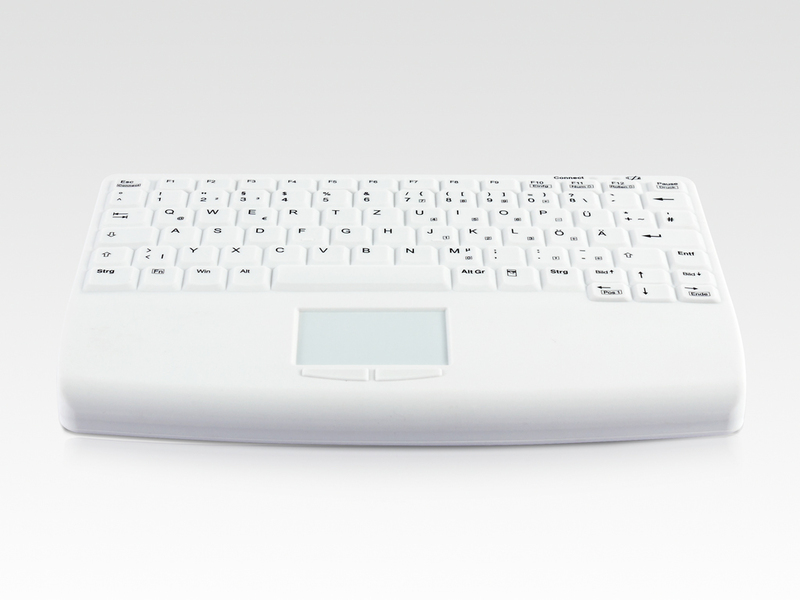 The TKG-082-TOUCH RF-IP68-WHITE is a synthetic keyboard with a silicone surface with "notebook format". The keys allow a high typing comfort similar to that of a conventional keyboard and an integrated touchpad is used for the cursor control. 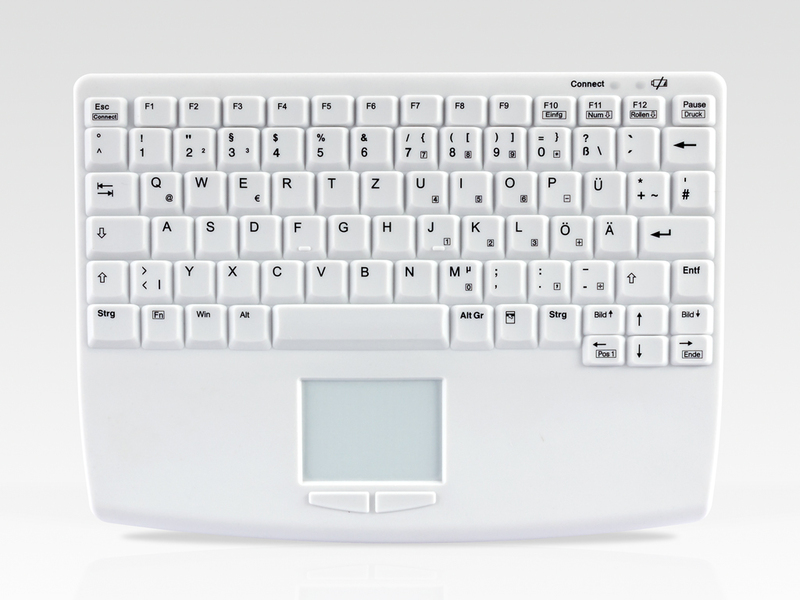 Due to the wireless 2.4 GHz data transmission, the keyboard can be used in any location. The design allows the cleaning and disinfection of the surface.